“You wouldn’t have been smiling if you had been here yesterday!” said Shrine Rector Monsignor John Armitage to the pilgrims gathered in the open air in front of the Shrine. He was referring to the fact that on the day before, it had rained; however, the sun had come out over Walsingham on Sunday, 7th October 2018. The 2018 Annual Pro Life Pilgrimage of Reparation and Prayer for the Sanctity of Life was led by the Most Reverend Kevin McDonald, Archbishop Emeritus of Southwark, along with Father Jeremy Davies of the Diocese of Westminster, the Franciscan Friars of the Renewal and other members of the clergy. 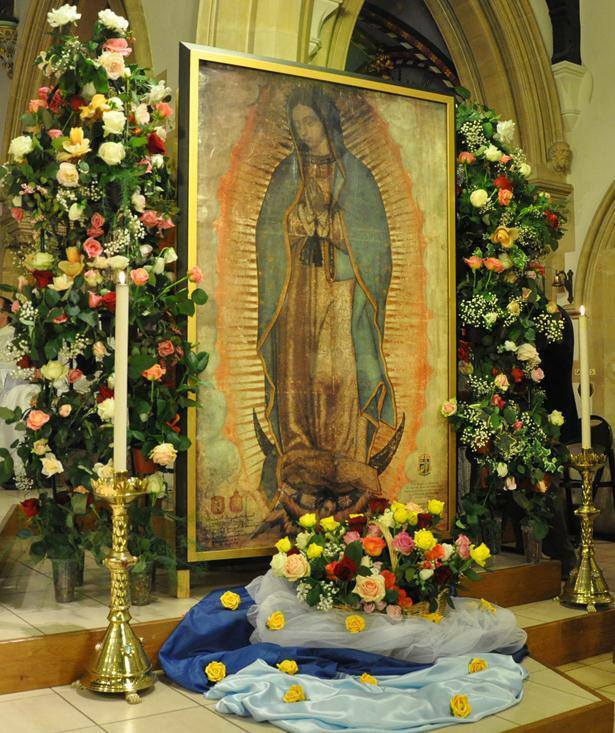 As always, the Guardians of the Shrine in Bedford had been invited to bring the Miraculous Relic Image of Our Lady of Guadalupe to Walsingham for the Pilgrimage. 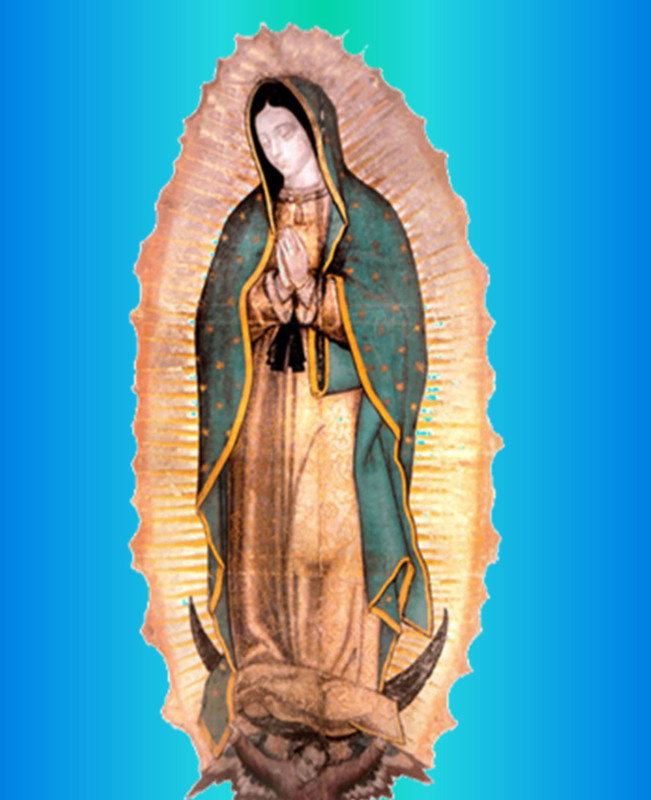 A large team of Guardians attended; some had travelled with the Image, others by coach or private car. The Pilgrimage followed the usual programme of Mass, Stations of the Cross, Eucharistic Adoration and the Holy Mile silent walk ending with the recitation of the Sorrowful Mysteries in the Priory grounds. During the course of the day, hundreds of pilgrims lined up to venerate the Miraculous Relic Image, which, as always, was faithfully guarded by the Knights of St Columba. 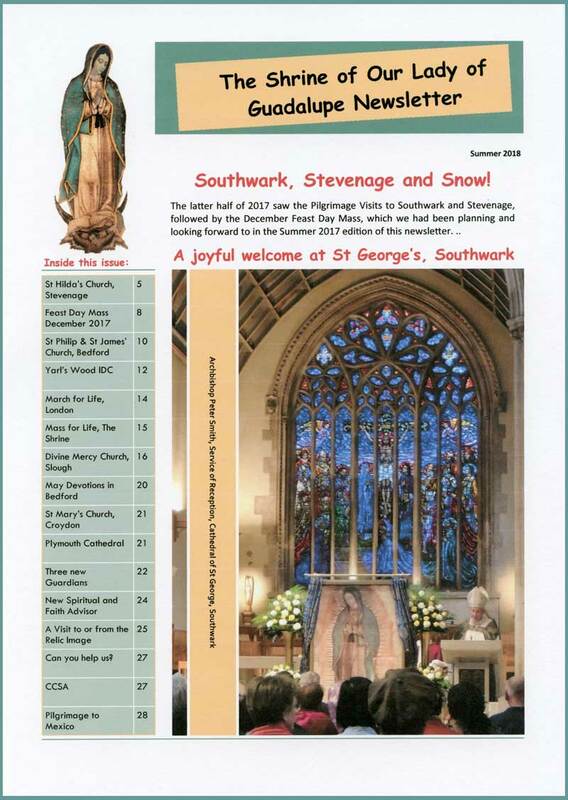 The pilgrims had travelled from as far away as Herne Bay and Leeds to show their support for the Sanctity of Life, especially in these troubled times of which Archbishop McDonald spoke fervently in his homily during the Mass. ← 2018 Feast Day Mass plans under way!